Visit Křivoklát Castle, one of the oldest surviving fortified castles in Bohemia, which is commandingly situated on a rocky hill above the village of Křivoklát, 45 km west of Prague. 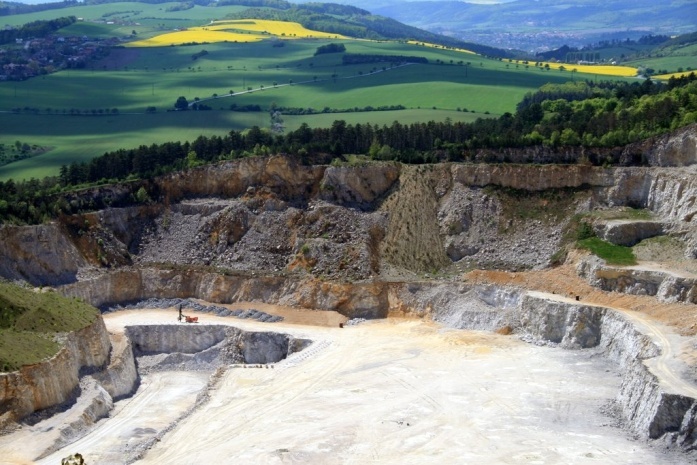 The next stop will be Koněprusy Caves, the largest caves in Bohemia. 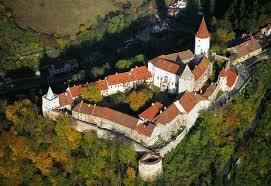 The predecessor of Křivoklát Castle in the 12th century was a wooden hunting lodge of the rulers of Bohemia. After the mid-13th century, Křivoklát became a stone castle whose strategic importance grew, although it continued to be used for hunting pleasures. After 1424, during the Hussite Wars, the Castle was quite heavily damaged. It was repaired under the rule of Vladislav Jagellon. Rudolf II changed the Castle into a highly secure prison that would withstand any attack. Among the prison’s inmates was the famous alchemist and charlatan, Edward Kelley. When on your tour of the Castle, don’t miss out on the jewel of Czech Gothic – hradní kaple (the Royal Chapel). Valuable exhibits can also be viewed in the obrazová galerie (Picture Gallery). Special care has been given to the collection of old musical instruments, the sound of which can be appreciated during the Castle’s summer concerts. 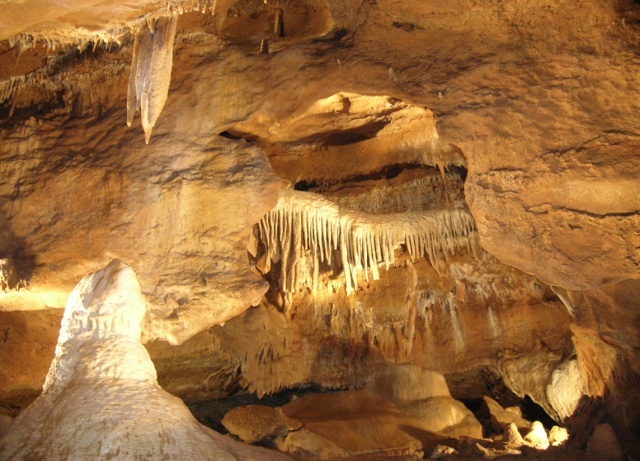 The stalactitic caves of Koněprusy, the largest in Bohemia, are located south of Beroun. They were discovered only in 1950. Excavations in the caves brought to light human and animal bones dating from the Palaeolithic Age. Also of great interest is the reconstruction of a 15th- century coiner’s workshop.